Allow us to extend a personal invitation to join us to celebrate the Day of the Seafarer which takes place on June 25. The theme this year is “Seafarer’s wellbeing”. SAMSA will host a unique panel discussion, representative of seafarers, maritime industry leaders, employers in a round table discussion in Durban on this day. 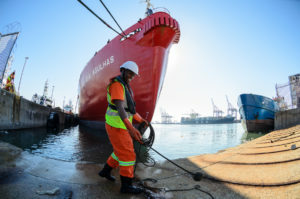 Durban, South Africa, June 19, 2018: The South African Maritime Safety Authority (SAMSA) in partnership with the Department of Transport invite members of the media to celebrate the Day of the Seafarer which takes place on Monday the 25th of June 2018. This year’s theme for the Day of the Seafarer is “Seafarers’ Wellbeing”. According to the International Maritime Organisation (IMO) there has been a strong call in the maritime industry to address seafarer’s wellbeing, particularly their mental health. The Day of the Seafarer was established in a resolution adopted by the 2010 Diplomatic Conference in Manila to adopt the revised Standards of Training, Certification and Watchkeeping for Seafarers (STCW) Convention. The purposes of the convention is to recognize the unique contribution made by seafarers from all over the world to international seaborne trade, the world economy and civil society as a whole. 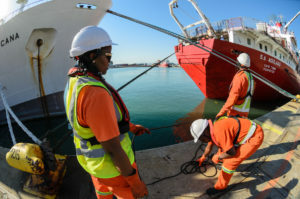 The Durban event takes the form of a panel discussion which will bring together seafarers, maritime stakeholders, including recruitment agencies and government statutory bodies in a short mid-morning session to discuss broad issues related to seafarers. Members of the media would be able to interview seafarers and take pictures. During June, SAMSA kicked off with a month-long campaign highlighting and showcasing best practices and good examples of seafarers. This platform allowed seafarers to have their say and share their experiences about life at sea. 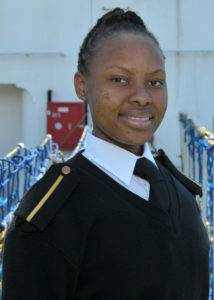 Chief Operating Officer of SAMSA, Sobantu Tilayi said: “The Day of the Seafarer event will be a continuous engagement the DoT and SAMSA will be embarking on promoting seafaring and the conditions under which they work and live. “This initiative, to focus on the mental health of seafarers, will seek to highlight and showcase best practices and good examples and will also, inevitably, bring out areas of concern and examples of shortcomings. He said in order to maximise SAMSA’s reach and effectiveness of promoting seafarer’s wellbeing, it would continually engage with the industry to promote mental health. “This will also increase productivity and benefit from associated economic gains for the country,” he said. SAMSA aims not only to raise awareness and celebrate Seafarers, but to showcase seafaring as a career choice and bring to light some of the issues that affects ‘Seafarers’ Wellbeing’. Seafarers are citizens of the world, and they have no boundaries in terms of where they work and reside. Thus, it is critical that to give them a sense of belonging and comfort, their mental stability would require them to remain satisfied and content. “This dialogue thus is critical to achieve this,” Tilayi said. SAMSA, this year is celebrating its 20-year anniversary. 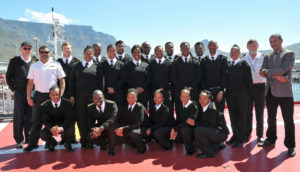 Tilayi said it was therefore relevant to recognize and celebrate those that are working as seafarers. 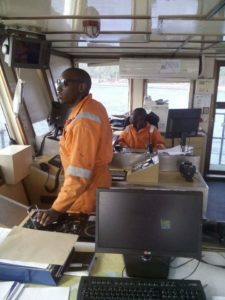 SAMSA has activated this year’s social media campaign where seafarers tell their stories of their life at sea under the hashtag #GoodDayatSea. The hashtag encourages seafarers to share photos of themselves in a positive work environment. The campaign also supports the hashtag: #SupportSeafarersWellbeing. This hashtag will be used by shipping companies and others within the industry, to show how they provide a decent working environment for seafarers and how they address mental health issues among their seagoing staff.